Booking Mama: Kid Konnection: Animal & Hockey Books! Every Saturday, I host a feature called Kid Konnection -- a regular weekend feature about anything related to children's books. This week I'm going to share with you two awesome books that are great gift ideas! 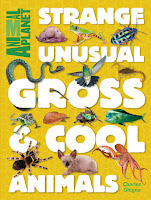 ANIMAL PLANET STRANGE, UNUSUAL, GROSS & COOL ANIMALS by Charles Ghigna is an awesome book. I can't even begin to imagine how crazy kids are going to go for this fun (yet educational) book. 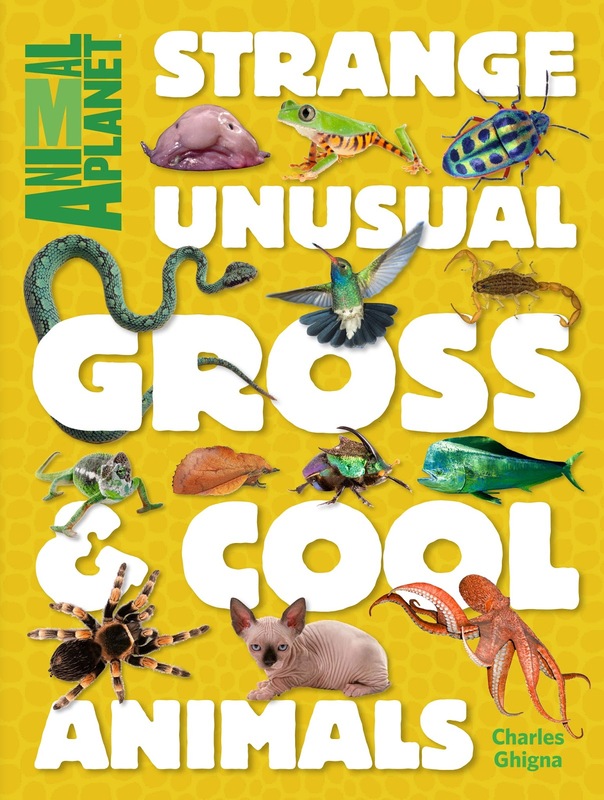 STRANGE UNUSUAL GROSS & COOL ANIMALS is an oversized book aimed at ages 8 -12, and it's perfect for kids who are interested in animals... or even kids who are interested in gross things! "The world is full of incredible creatures, each one a wonderful oddity. Some are weird. Some are scary. And some are just disgusting!" STRANGE, UNUSUAL, GROSS & COOL ANIMALS is divided into the following chapters: Strange Animals, Unusual Animals, Gross Animals, and Cool Animals -- no surprise there, right? But within each section, there are pages devoted to specific animals like a glass frog, a bobbit worm, a proboscis monkey, and tons more! There are also different types of pages in this book that are marked with tabs. There are gallery spreads which explore a theme and featured creatures which give insight into multiple animals that have adapted tot heir environments in similar ways. In addition, there are creature collection spreads which allow readers to compare and contrast different groups of animals and macroview pages which show the minute details of very small animals. This book is truly amazing! The color photographs are exquisite (if that's the right word for some of these unusual animals), and I know kids are going to devour this book. I can see many readers skimming through the book to see the incredible photos and then going back later and reading the details and fun facts. Because some of the animals are rather startling, it is a lot to take in... but I mean that in a good way! STRANGE UNUSUAL GROSS & COOL ANIMALS is unlike any animal book I've ever reviewed; however, it's a very fun (and interesting) book and a great gift idea! 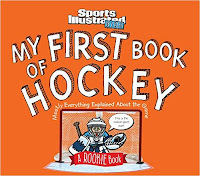 Another fun book on my radar is SPORTS ILLUSTRATED KIDS: MY FIRST BOOK OF HOCKEY. This picture book is part of the Rookie Book series and really does a terrific job of introducing kids to the game of hockey. And truth be told, it's probably a great starting point for adults new to the game too! I have reviewed a few of these Rookie Books in the past and I think they are fantastic! These books make learning fun -- what parent doesn't love that? MY FIRST BOOK OF HOCKEY includes some amazing photos (of course it does, the publisher is Sports Illustrated), but it also has some fun drawings and even cartoon bubbles. I love how the book gives a broad oversight into the game of hockey but also provides a few laughs in the process. All of the basic hockey terms are defined like the various positions as well as the lingo specific for the game. There are also pages devoted to teaching the rules of the game. Honestly, I think an adult could read MY FIRST BOOK OF HOCKEY and have enough of an understanding of the game to hold their own with a group of fans! One of my absolute favorite things about these Rookie Books is the little guy that shows up on various pages. He is a cartoon mixed in with the actual hockey photographs, and he always says the funniest little things! For example on the page describing the term icing, he says, "So this isn't about cupcakes?" See what I mean -- too cute! 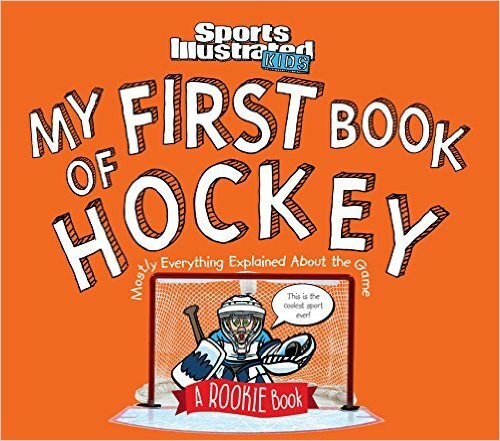 I think MY FIRST BOOK OF HOCKEY is the perfect way to introduce hockey to kids! Highly recommended! Thanks to Blue Slip Media for providing review copies of these books. I've read the hockey book and loved it and know I'm going to love the animal book too! Great books! I reviewed the hockey book already and the other one is on my list for this month. These are such great books. I've only skimmed the animal book but there are some strange ones in there. I love all the conversation bubbles in the hockey book. Thanks for the link up!